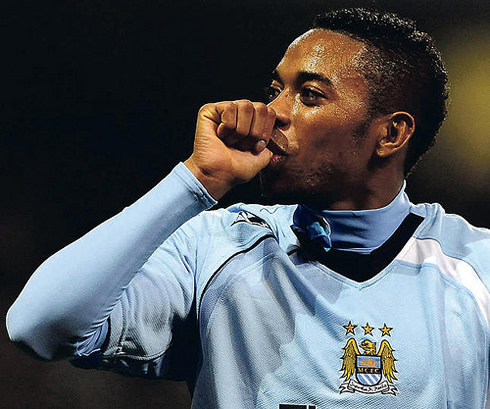 Last week, Robinho granted an interview to newspaper "Band", on which he talked about the years he spent in Madrid, as well as the main reason why he decided to leave the club and head to England. The Brazilian disclosed that Real Madrid's obsession in signing Cristiano Ronaldo made him feel unappreciated and somehow forced his transfer to Manchester City, in 2008. 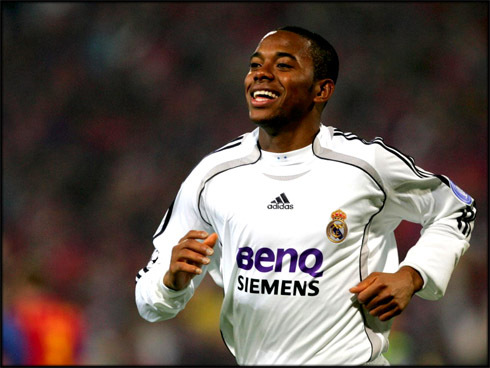 The 28-years old footballer, Robinho, was signed by Real Madrid in 2005, in a deal that allowed his previous club, Santos, to earn around 26 million euros. 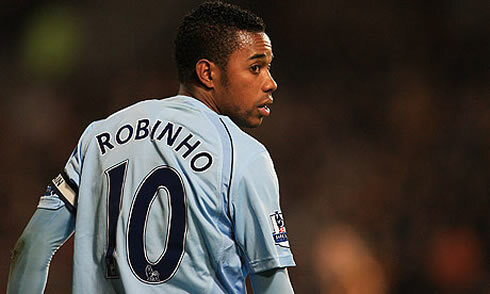 The Brazilian forward played 3 seasons for the Merengues, until he decided to move to Manchester City in 2008. One of the reasons that led to his departure from Madrid was precisely the public interest shown by the club in signing Cristiano Ronaldo. 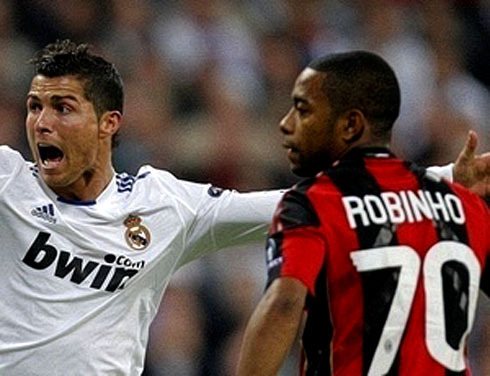 Even though the deal didn't happen immediatly in 2008, Robinho revealed that he felt depreciated when Real Madrid started trying to bring Cristiano Ronaldo to Spain during that season, which made him decide that it was time to move on to a different club. One year later, on the 1st of July 2009, the Portuguese superstar left Manchester United to join Real Madrid, in a world-record transfer fee of 80 million pounds (96 million euros). 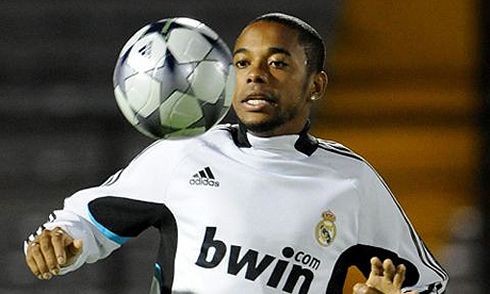 Robinho: "I had some good moments in Madrid. The only bad thing about my 3 years stay at the club was the way I left it. The club was trying to sign a player [Cristiano Ronaldo] and they didn't appear to care about me. I regret the way I left Real Madrid, because I'm aware the fans and supporters not always understand what's really going on and the true reasons behind what comes out in the press", stated the Brazilian player. 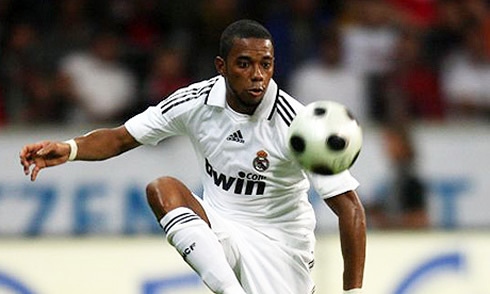 However, Real Madrid didn't succeed in their quest for bringing Cristiano Ronaldo to Spain that year (2008) and when they turned to Robinho to discuss his future, it was already too late to convince him to stay. 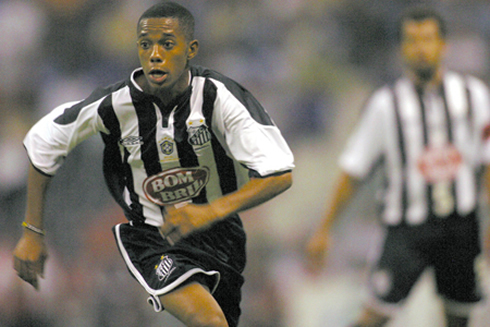 Robinho: "When they realized the deal wasn't going to be made on that summer of 2008, the club directors tried to fix things with me but I wasn't interested in staying anymore. 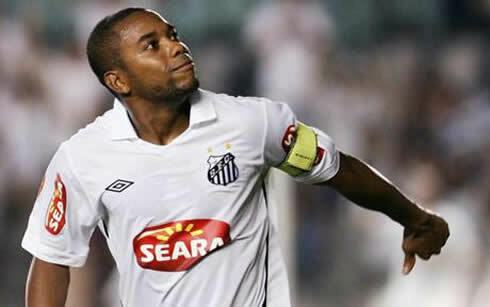 I felt neglected throughout the entire process...", revealed the Brazilian international. 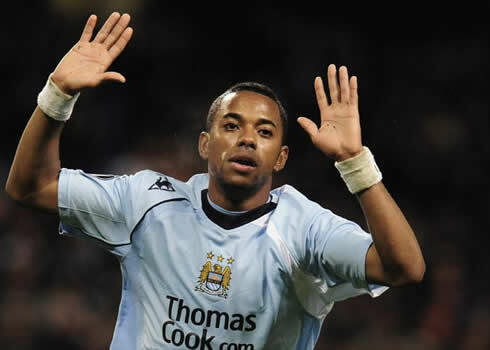 After his adventure in Spain, Robinho moved to England and Manchester City. Being 24-years in 2008, the Brazilian player approached this new challenge with a different perspective. 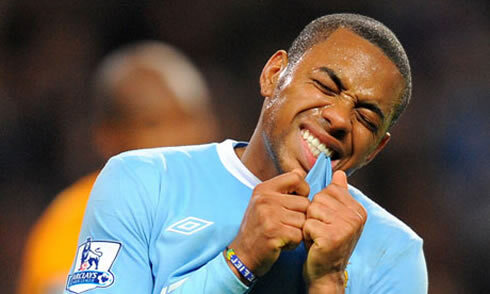 Robinho: "Manchester City certainly has enough money to grow into a top club in a near future. They just need to play the UEFA Champions League more often, since that's what turns the club more interesting to good players. I think they are on the right path to become one of the most strongest teams in the World and that's what happened with Chelsea not many years ago", noted the former Real Madrid and Santos player. 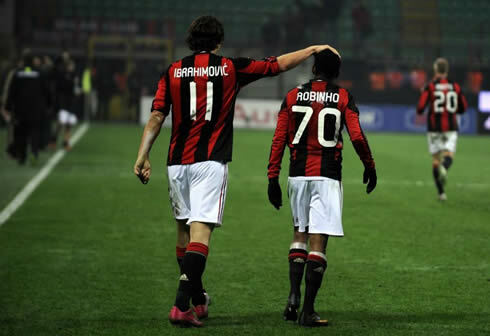 Since 2010, the Brazilian forward has been playing for AC Milan and he's surely one of the few Rossoneri players who have already faced the all-mighty Barcelona many times in the past. Pep Guardiola's side will be AC Milan's most difficult challenge this season, but Robinho is confident about pulling off a surprise. 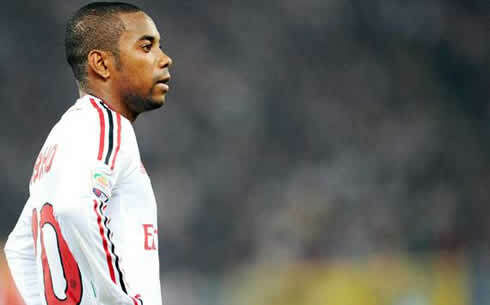 Robinho: "It's going to be really hard. In the current days, Barcelona is the best team in the World. However, our objective will be to get through and win the Champions League. Just like Milan can win and lose against any team, the same can happen with Barcelona. 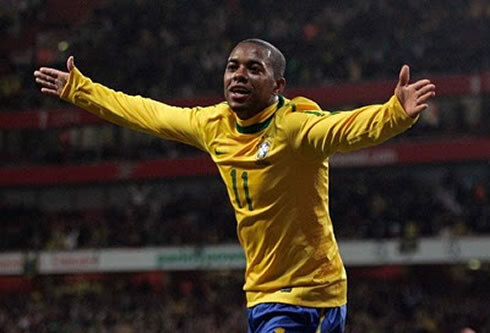 Anything can happen in football.. We've already faced them in the Camp Nou during the groups stage and we came off with a draw", pointed out Robinho when previewing the clash between AC Milan and Barcelona, for the UEFA Champions League quarter-finals. 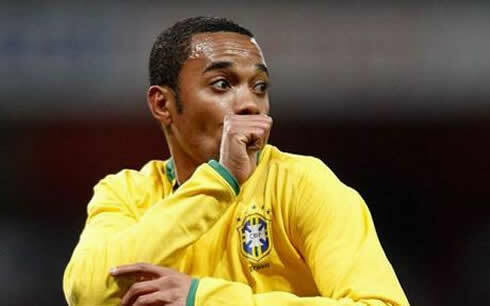 Before ending the interview, Robinho also shared his view on Neymar, who he ranks as the 2nd best football player in the World, only behind Messi. Whether or not the Brazilian holds some grudge against Cristiano Ronaldo for everything that happened and led to his exit of Real Madrid, we can't be sure about, but once again, he seem to have avoided to state the Portuguese name and restricted his opinion only to Neymar and Messi. Robinho: "Neymar is a genius, but most people in Europe still doubt about his qualities because he didn't leave Brazil yet. The common sense here is that the Brazilian championship is not as good as the European ones. However, I would already rank Neymar as the 2nd best football player in the World, since in my opinion, the best remains being Barcelona's Lionel Messi", concluded Robinho, as he ignored Cristiano Ronaldo. Real Madrid next game is for the UEFA Champions League against APOEL, this next Tuesday (27-03-2012). In the meanwhile you can watch APOEL vs Real Madrid, AC Milan vs Barcelona, Manchester United vs Fulham, all from our soccer live streams section. Cristiano Ronaldo is expected to be a starter when Real Madrid visits APOEL, this next Tuesday.